Back in 1999, the Stardust mission launched to trap particles of a comet and return the sample to Earth. 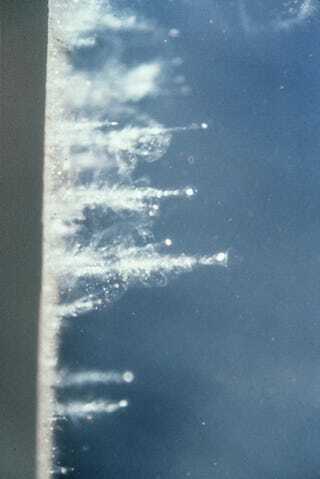 The Stardust spacecraft made its scheduled rendezvous with Comet Wild 2 in 2004, captured comet-dust in aerogel, and successfully returned the samples. The rest of the story is complicated and cool enough to be saved for another day. In the meantime, here's an ode to the wonder-material aerogel that captured those particles, and the recent advances to the next generation of the material that is strong enough to capture comet dust, yet is lighter than air. Update: Stardust captured 7 particles from the beginning of the solar system.